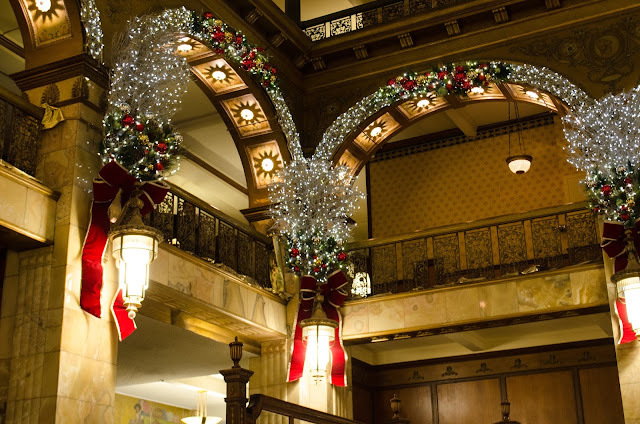 One of the things we love about the having left our hometown is that it actually feels like Christmas other places. Living in a small desert town at Christmas, doesn't really feel like Christmas. There's no snow, no lit up downtown, no big Christmas events or fairs. 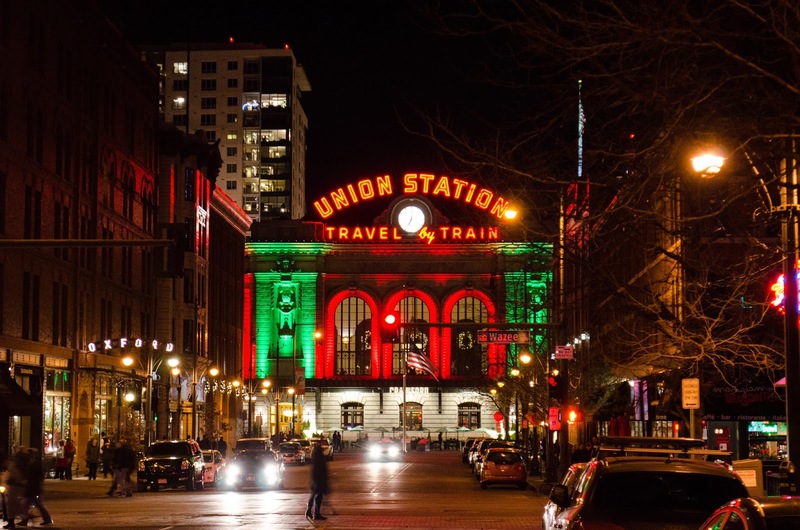 We love walking around downtown Denver, stopping in the random German Christmas festival for mulled wine and handcrafted gifts, admiring all the lit up trees and buildings, walking through Union Station and the Brown Palace to ooh and ah over their gorgeous decorations. 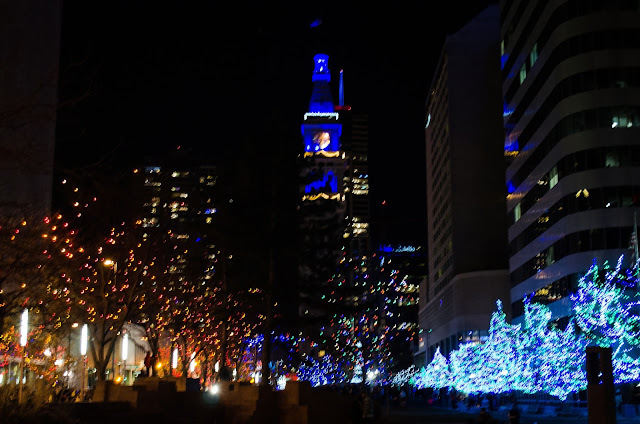 This is our first Denver Christmas and so far we are loving it. Snow, cold, ice, and all. 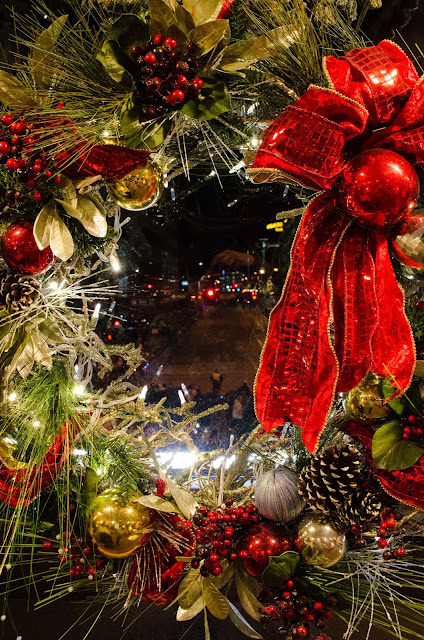 Last weekend, we walked downtown to watch the Parade of Lights. We left early so we could stop into the Brown Palace for some cocktails and to admire their decorations. 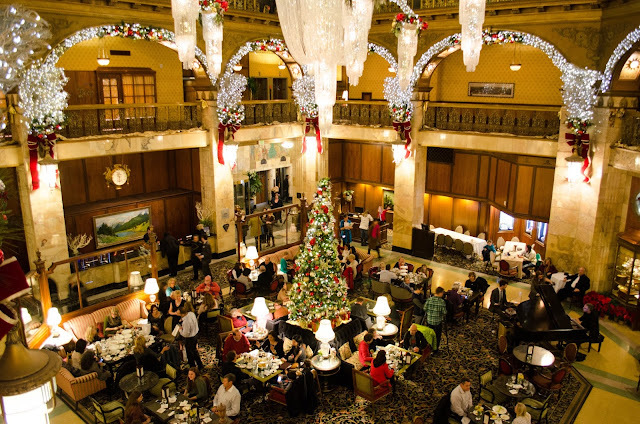 The parade ended up being super boring, (now we know parades really are just for kids), so the concierge at the Brown Palace hooked us up with a last minute reservation at an Italian restaurant across from Union Station which turned out to be DELICIOUS. Food really is our priority after all, let's not kid ourselves. 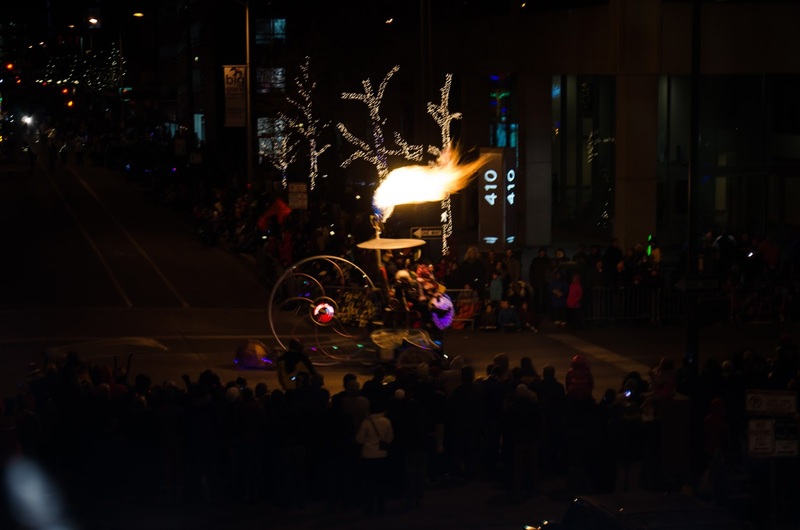 Here are some random photos Mike took that night. 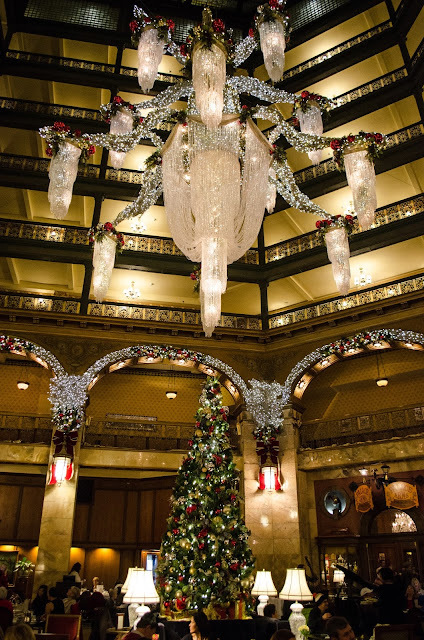 The Brown Palace at Christmas is just straight up gorgeous. One obligatory parade photo before we bailed.